Millions of Americans are being silently attacked by heavy metal toxicity! Symptoms uniquely experienced due to heavy metal toxicity: We are all individuals controlled by our unique DNA which exhibits symptoms in our chemistry, the environment we live in, the air we breath and what we eat. These symptoms below are controlled by the above and so will express themselves uniquely based on these factors and our individual built in weaknesses. Did you know how much you can improve your health just by getting rid of toxic metals in the body? This can be carried out very easily under the supervision of a skilled natural doctor. First, you have to find out what heavy metals are affecting your body, and this can be done with a very simple test using samples of hair. There is no acceptable levels of any of these toxic metals in the body. This test looks at what the body has become toxic with any one of the metals. Toxic metals, to a large extent, find their way in to our environment through industrial effluents, organic wastes, burning refuse, transport and power plants. These toxic metals are then carried over many miles by air flow; this depends upon if they are particles or gasses. Metal pollutants then get washed from the air in to surface water or the land. Industry effluents contain a major source of toxic heavy metals. Drainage water from catchment areas also carries toxic heavy metals where contamination has taken place from smelting unit and mining. They also are found in vaccinations in the form of mercury and aluminium. Blood & Urine tests for heavy metals is usually performed by a health care practitioner and they obtain the blood by pricking the patients finger. This is then analysed under a dark-feild microscope onto a TV monitor; however, this can only be used for Mercury, Cadmium, Aluminum & Arsenic toxicity, and short term while it still exists in the blood (short term being less than 2 weeks). Since the blood/urine transfers these heavy metals to the tissues, an accurate long term picture of toxic levels in the body using blood or urine would be useless. Hair mineral analysis is considered by the “U.S. Environmental Protection Agency” as the most accurate test for heavy metal toxicity. When using hair, if it has been chemically treated; it should not be used for at least 2 months after the chemical treatment. Virgin hair is the most reliable hair for testing. When using hair to test, it will show levels up to 300 times more accurate than blood will and it will also show how much needs to be removed, to be in the safety zone. Because minerals are depleted by heavy metal toxicity it will also show mineral levels and provides an accurate plan of how to increase them. 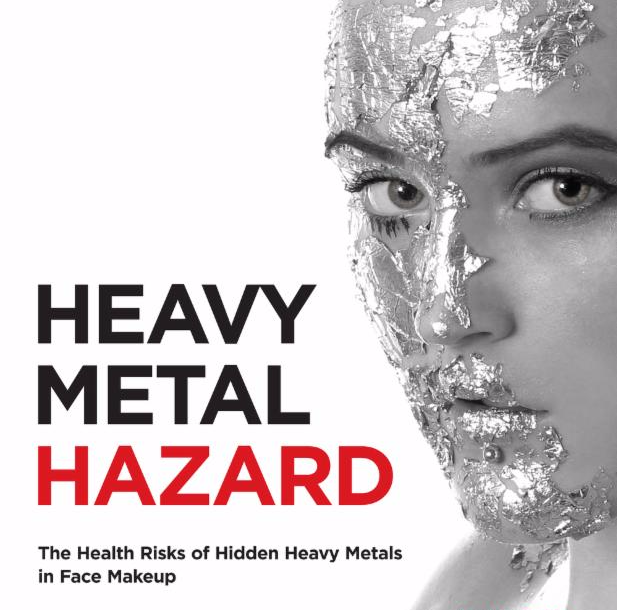 Less likely to suffer from many of the diseases associated with Heavy metal toxicity. Drink purified water, eliminate the consumption of food/drink from alluminium cans, choose natural skin/hair products, stop mercury fillings, remove mercury fillings with a qualified natural dentist that uses a safe extraction method, use the correct protection masks when painting/removing paint (get advice from a professional before attempting to have led based paint removed) choose childrens toys made in the USA which have been made to USA standards suitable for children). move away from highly polluted areas, Always look at labels, ask questions and do your research.